More than 3,000 customers have received help from the Trust since it began in 1993. South Staffs Water (SSW) and Cambridge Water (CW) recognise that for some customers, meeting the demands of all their daily living costs can be hard. If you are having difficulty paying your bills, please do not panic – seek advice from an organisation such as the Citizens Advice Bureau or the StepChange Debt Charity. It is important you prioritise your bills and contact the people or organisations that sent them to try to work out a solution – your water company, for example, is happy to work with you to set up payment plans to suit your circumstances. Please do not ignore your bills – that could result in county court action – the sooner the company knows you have a problem, the sooner it can help you to sort it out. For those customers most in need, the South Staffordshire Water Charitable Trust (registered charity number 1043177) makes grants towards the cost of water bills. Set up in 1993, we operate independently of your water company with many of the grants going to chronically ill customers, those in receipt of benefits or others who are on very low incomes, or sometimes for those who are in temporary difficulties, for example, as a result of redundancy. The aim is to assist those customers who are in need or who are suffering hardship or other distress, with priority for grants given to those who are willing to make a regular payment towards the cost of the bill, while it is acknowledged they cannot meet the entire sum. 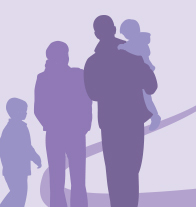 We receive applications for grants in a number of ways – sometimes directly from South Staffs Water or Cambridge Water customers, from their billings and collections team, from local authorities, housing associations, financial advisers and from organisations such as the CAB or mental health charities. When an application is made to us at the Trust, it is carefully considered and a decision made on whether a grant for either part or full payment of the water bill can be made. If your water company was already in the process of taking action against the customer for non-payment of the bill, then the action is suspended while the application is being looked at. All applications are dealt with in strict confidence. As a registered charity, the Trust is administered by a board of trustees, which includes representatives from your water company, local authorities and other interested bodies. They usually meet four times a year to consider applications. When they agree to make a grant, it is in the form of a credit against a water bill. During 2013/14 we made grants worth a total of nearly £150,000 to more than 800 customers - an average of over £186 each towards their water bills. The table below shows how we have helped since 2008.